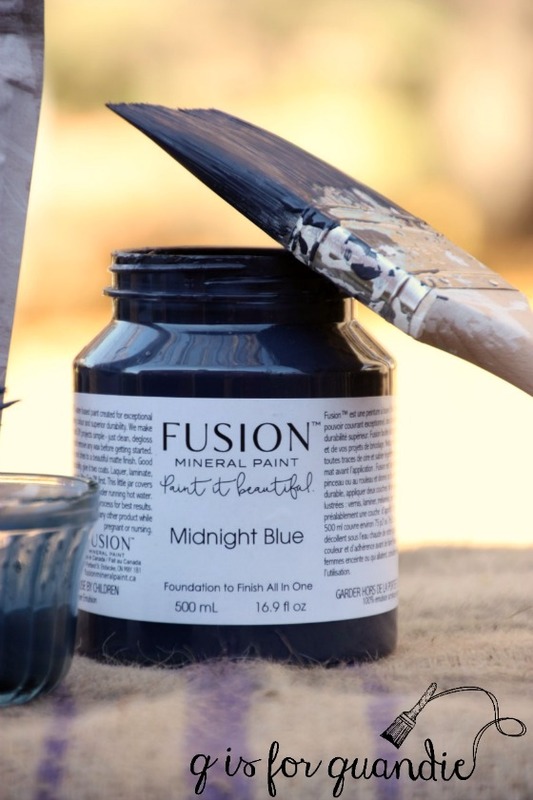 One of the things that you may have noticed about my blog is that I like to use different types of paint, as well as different brands of paint. Although I do receive free product to use from several different paint brands, I don’t sell paint myself. I like to think of myself as the Switzerland of furniture painting blogs, able to remain neutral. I love trying new things, but I only promote the products that I truly love working with. I love the ease and simplicity of using acrylic paint for some projects, especially mid century pieces. 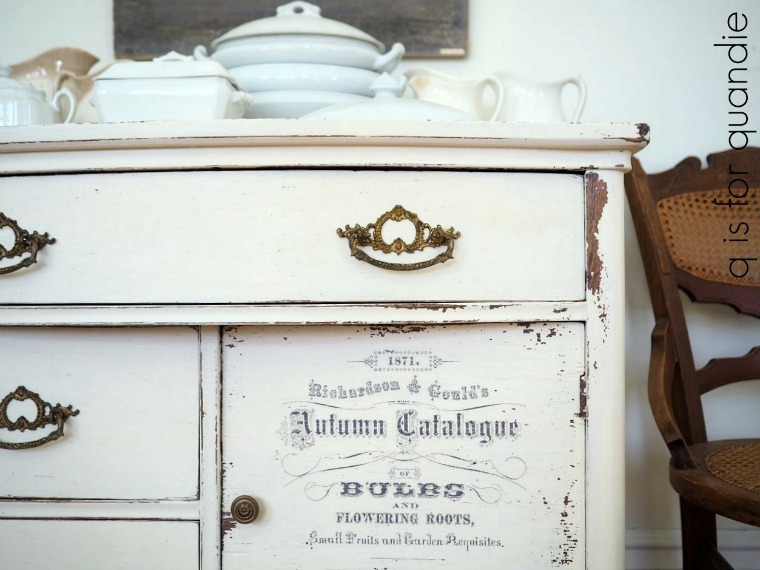 And I also love the beautifully smooth finish and the gorgeous coverage you can get with chalk paint. And sometimes I even resort to using spray paint on certain pieces like wicker and cane items, but shhhh, don’t tell anyone about that little dirty secret. However, in the end, the paint I love the most for pieces I’m keeping is milk paint. Just for fun I took a little walk around my house and counted my own painted furniture pieces. I have 1 piece painted in Fusion, 1 piece painted in latex from way back, 3 pieces painted in chalk paint, 4 cane backed chairs that were partially spray painted, and 19 pieces painted in milk paint! 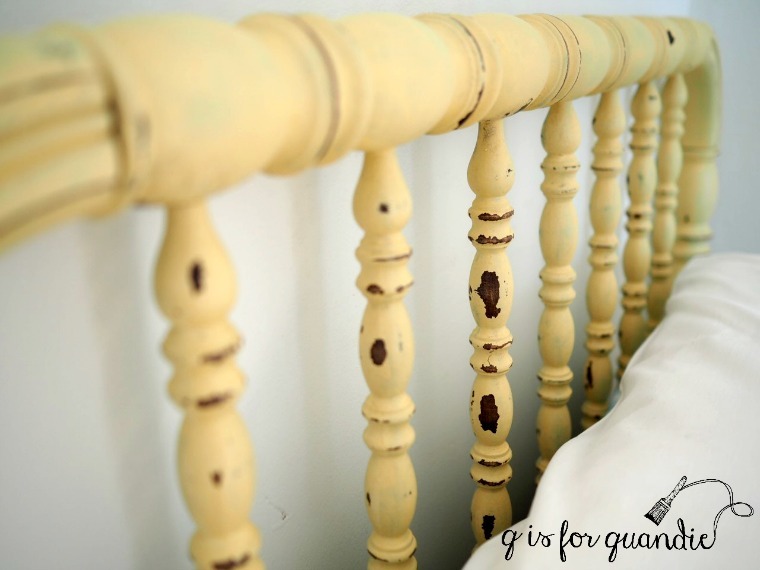 My guest bed below is painted in Homestead House milk paint in a color called Ochre and finished with the Real Milk Paint Co’s Dead Flat finishing cream. 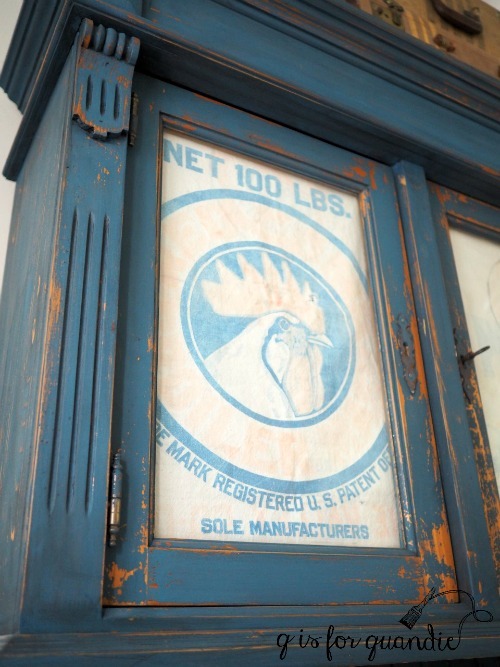 One of my favorite pieces is my rooster cupboard. It’s painted in Miss Mustard Seed milk paint, a base layer of Artissimo and a 2nd layer of Flow Blue, then finished with Miss Mustard Seed Antiquing Wax. 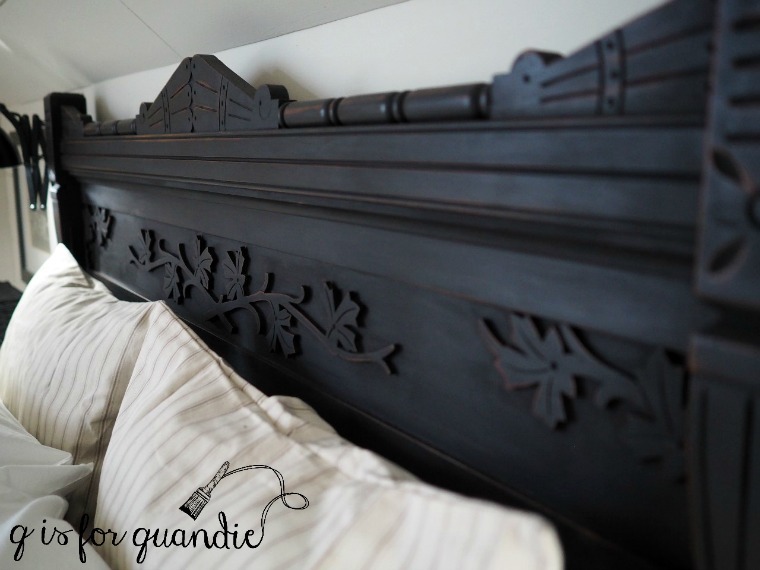 The bed in our master bedroom is painted in Homestead House milk paint in Coal Black with Homestead House black wax as a topcoat. or gets chippy in just the right places. There is just simply an authentic feel to a distressed milk paint finish that you can’t get with any other kind of paint. Sure, you can come close, but to me the others always look a bit more faux. 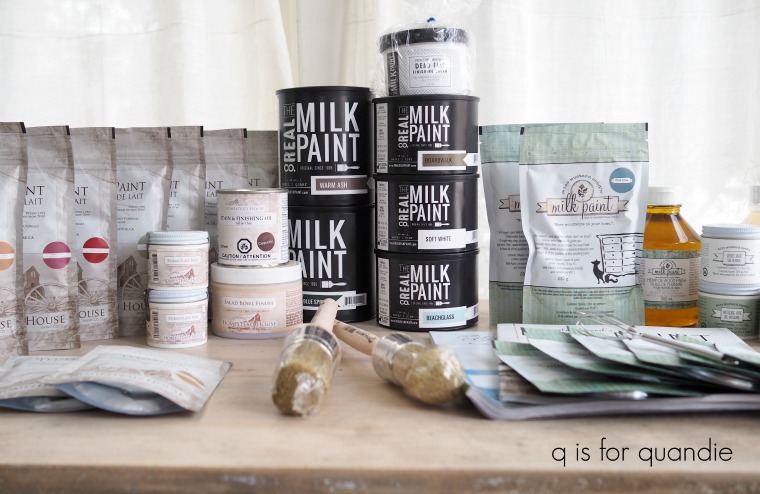 That being said, I thought it would be fun to write a blog post sharing all of my favorite products from the various brands of milk paint that I’ve used over the years. I’m hoping that I can inspire some of you to break out the milk paint yourselves. And what better way to do that than having a giveaway? 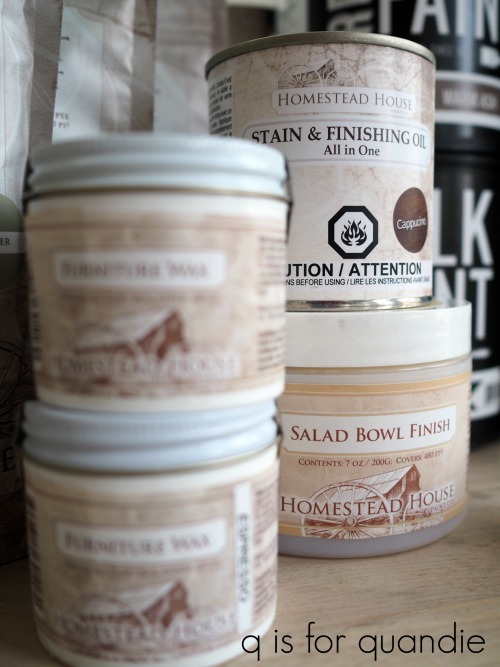 So I reached out to my favorite Fab Four milk paint companies, Homestead House, Miss Mustard Seed, The Real Milk Paint Co and Sweet Pickins, and asked if any of them would like to offer some product for me to give away. And you know what? They all said yes! And then sent me piles of stuff to give away. Not just paint, but also different top coats, brushes, books and even some stains. In fact, they were so generous with the free stuff that I’ve decided to break it down into five prizes! One for each day of the week, Monday – Friday. So just for next week, and next week only, I am going to return to posting each weekday. 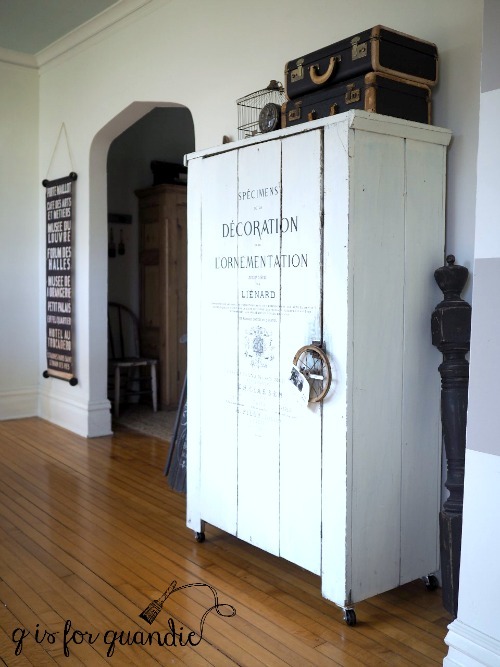 Five days in a row of posts all about milk paint. We’ll start with the basics and work our way up. I’ll post about different techniques such as layering with other types of paint, how to get your paint to crackle, how to achieve perfect chipping every time (and how to fake it if not), what kinds of topcoats to add and how durable they are and any other subject I can think of. And each day there will be a giveaway! Details on how to win will be included with each post. So be sure to check back on Monday for the start of Milk Paint Madness! I love milk paint and I am so excited to see your posts next week! It will give me something to look forward to each day! Oh. My. Goodness. I love that you are Switzerland with free love for all paints. I have never won a single blog giveaway, but here’s hoping. And I have found another milk paint company that I use, Junkyard Goddess, they sell online and on Zulilly. Looking forward to next week. I guess that’s 3 sleeps away, I’ll be counting. How fun! I can’t wait to get all your fabulous tips and the details on how to use milk paint as I’ve never used it before. Your blog may be just what I need to get over my fear of using something new. There is always a bit of a learning curve with a new product, but it’s worth it for milk paint! I am so excited! See you on Monday! I’ve got lots of great stuff to give away! See you then Cindy! This is going to be so fun! In addition to the thrill of a post every day! Now if you could just make spring get here so I can go outside to paint🧐….. 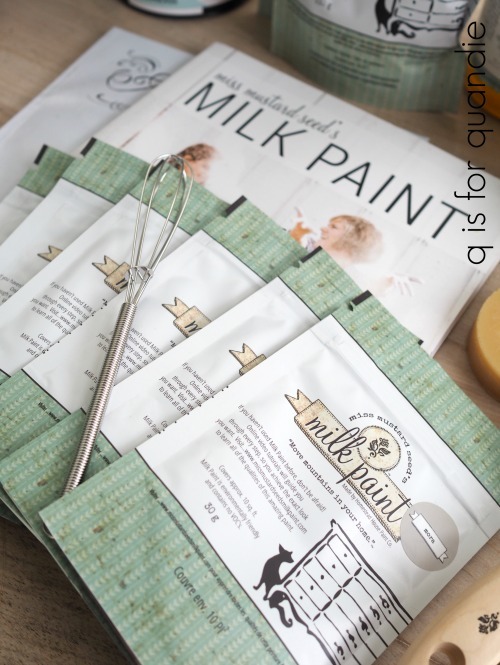 Awesome linda you are so inspiring I’m so ready to try milk paint for my first time I will be reading every post this week for a chance to win…p.s. I always read your blog and love it…. I wouldn’t miss your blog anyways but next week will be an added bonus with your giveaways! 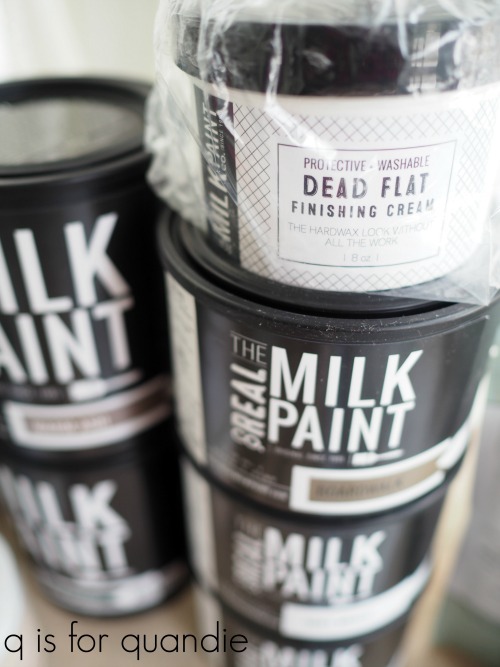 I’ve never used milk paint because the thought of mixing it up seemed like an extra step that I didn’t want to take. 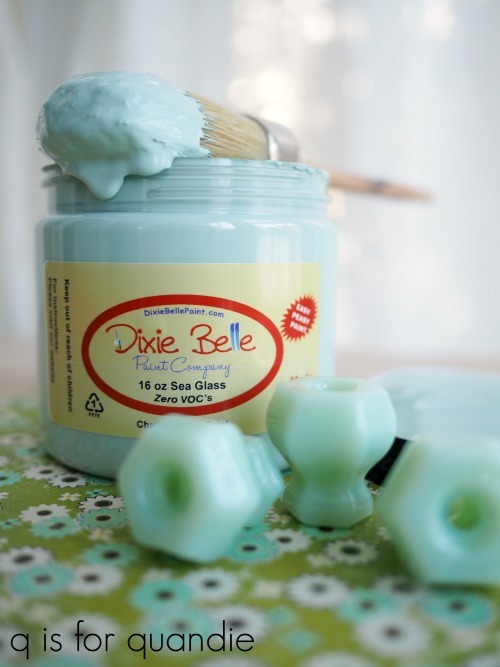 Now, with so many jars and cans of dried out chalk paint because I didn’t use the entire container, I’m thinking mixing what you need as you need it is the way to go. Just don’t really want chippy though! I’ve had traditional paints dry out on me too Wendy, what a waste! And the mixing isn’t hard. 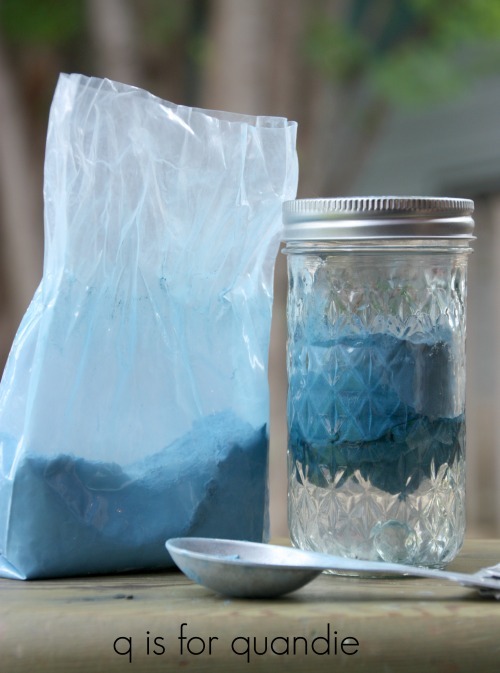 If you can make hot chocolate from a pouch of powder, you can mix milk paint. There are ways to avoid the chipping if that’s your goal too. I’ll be sure to mention those in my posts. I have just started to use milk paint (MMS in Arabesque) and love it! Excited to read your posts this next week! I’ve never used that color! There are only two MMS colors that I haven’t tried, Arabesque and Curio. I walked around my own home and discovered that I only have milk painted pieces. I use the others for some of my resale items too. I can’t wait to read your next posts about techinques to see if I can use some new ones! We are two peas in a pod Alena! 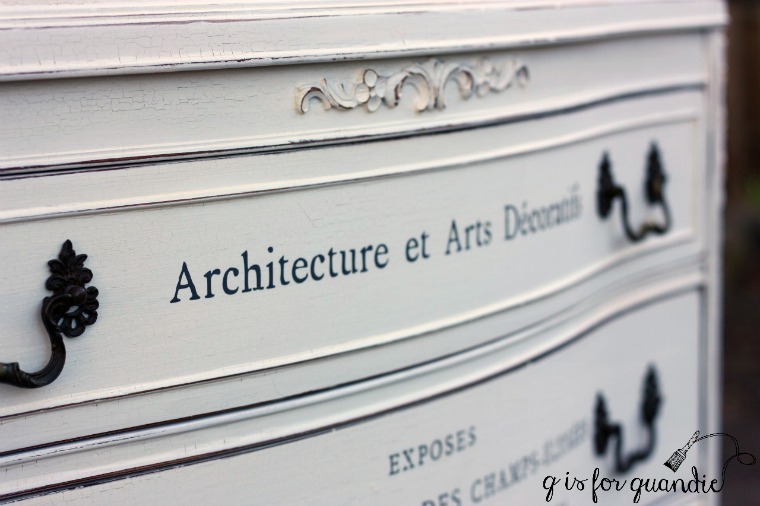 I wonder how many others do the same … tend to paint their own pieces in milk paint. I hope I have some new techniques to share with you! Yahoo! Sounds like fun.Can’t wait to hear about your favourites and my house tally leans towards milk paint. There’s just something about those milk paint pieces, right?! I wonder how many readers you have that, like me, don’t have the desire to actually paint myself, BUT love the finished product? I love reading about different paints and techniques, and seeing furniture come to life again…but just prefer to purchase furniture someone else has already fixed up and I have fallen in love with. I know this is hard to understand for people who love to paint though. I will be looking forward to next weeks posts for sure! With two projects “looming” in my furniture, namely redoing my bathroom cabinets, I am very interested in beginning my painting adventure with some new paint ideas from you! I have a lovely “cake” style dresser I bought from you when you were not famous and I love it. Problem is I tried to paint some nicks out on the top and front and the white paint was not the same shade, not a good idea. So that is my other project, transforming it, with a better paint!! Yay! This will be fun! Milk paint is my favorite as well. It’s just so easy to work with. Looking forward to gaining some new tips! I’m glad to find lots of kindred milk paint fans out there! LOVe your posts as always.. always honest and informative but mostly beautiful!! I can’t wait for next week as there are 2 brands I have been dying to try and 2 I love already!! I’m looking forward to more information on milk paint. I just love the look of it. I have two pieces of furniture just waiting for warm weather so they can get a makeover. Warm weather has to be coming soon … right? That’s so sweet of you Cilla! But no need, I pay for the shipping myself as a way of paying it forward, and I’m happy to do it. Question for you about milk paint. And I know we’ve talked about this before. But is there a time when chippy is too chippy. I tend to have that happen from time to time. I wonder if it’s too cold. The last two pieces I even sanded some and used a deglosser. I washed well with dawn dish soap. Both of them chipped almost off. I have ended up with pieces where too much paint chipped off (check out this post and this post). In my case, I don’t think it was cold either time. And the milk paint manufacturers tell me that you can actually paint with milk paint in colder temps than other kinds of paint. I think the more likely culprit is something on the surface that is resisting the paint, possible old furniture wax or oil. Maybe too much Pledge. Usually I am able to solve the issue with extra sanding. So if you tried sanding, a deglosser and washing with Dawn, I’m stumped. Woohoo! I am looking forward to next week. I am constantly telling friends and family about your blog. Was out to dinner last weekend with a couple, he had just taken a chalk paint class. We were discussing the differences between chalk paint and acrylic. They were considering doing a MCM piece and I suggested Fusion might be a better finish for that particular style. Anywho I will forward next week’s post to them. I definitely love the Fusion for mcm pieces. I’m picking up another one tonight and debating painting it with Park Bench green. I’ve had such success with that color that it’s hard to not just keep repeating it! So excited to learn!! And for the giveaways! This is very generous of you! Love all that you share with us, looking forward to next week. Thank you. Happy Easter! I have been wanting to paint several pieces I have, so looking forward to your week long posts! I truly enjoy seeing all your projects & Q-tips! Keep up the great Blog! Plus would love to win some paint! Woo hoo, can’t wait. Thank you!